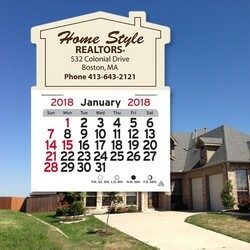 Stick with a Home-Style Promotion! 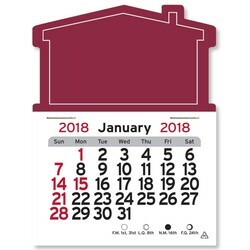 If you’re a real estate or home services professional, this is the perfect Peel-N-Stick™ calendar design to promote your business! 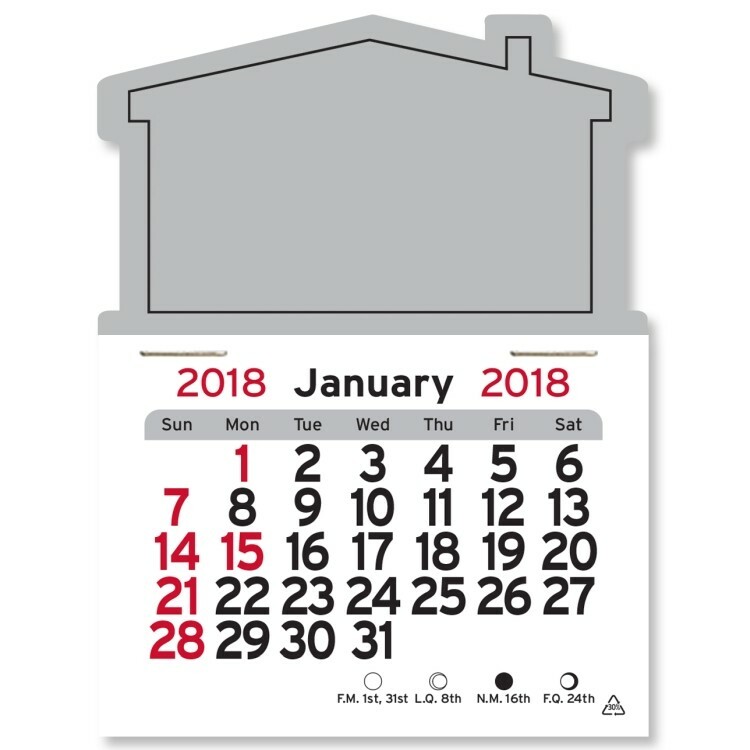 Our classic house shape communicates quickly with universal appeal. We are the industry leader in producing flexible, multi-use Peel-N-Stick™ calendars. Our calendars are excellent marketing tools that provide year-round visibility. Imprint your sales message and then choose the perfect color for your business. 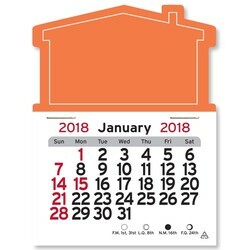 These affordable, quality calendars make very effective sales tools. • Imprint area: 2-1/4" x 1-1/8"